Though scientists have long known that Africa was home to unique species of dinosaurs not found anywhere else, little is known about how they got there or how they were different to the dinosaurs found in Asia and in North America. A newly discovered dinosaur just might shed some light on how dinosaurs arrived in Africa and how they looked. A recent expedition into the Sahara desert in Egypt has discovered a sauropod about the size of a city bus. The dinosaur, called Mansourasaurus shahinae, is a sauropod and one of the titanosaurs. Sauropods are the family of long-necked dinosaurs that include some of the largest land animals ever. Other sauropods include the Brachiosaurus and Diplodocus. According to paleontologists, the dinosaur was approximately 33 feet long (10.05 meters) and weighed 5 1/2 tons (about as much as an African elephant). The expedition that found Mansourasaurus was part of the Mansoura University Vertebrate Palaeontology (MUVP) project. The fossils of the dinosaur were found near the Dakhla Oasis, in the center of Egypt. The remains are the most complete of any land vertebrate discovered in Africa which existed between the time period of the Late Cretaceous, approximately 100 million years ago, and the extinction of the dinosaurs 65 million years ago. Paleontologists were able to recover much of the neck and back vertebrae of the dinosaur, along with its lower jaw, skull, ribs, rear foot, forelimbs, and shoulder. Mansourasaurus was believed to have a series of bony plates termed osteoderms in its skin, which provided it with defense from attack. Though it was the size of a bull elephant, it was actually somewhat small when compared to other titanosaurs like Patagotitan and Dreadnoughtus. Some other titanosaurs were more than 100 feet long, making Mansourasaurus a small to medium sized specimen. Paleontologist Matt Lamanna says that although it is a massive animal compared to animals today, compared to other titanosaurs Mansourasaurus was a “pipsqueak”. This isn’t to take anything away from the discovery of self, as Lamanna was extremely excited about the discovery calling it a “Holy Grail” of paleontology. Paleontologists have wanted to find a well-preserved dinosaur from the end of the dinosaur age in Africa for a very long time. Indeed, Lamanna is far from the only researcher excited about the find. A postdoctoral researcher at The Field Museum, Eric Gorscak, Says that the discovery of Mansourasaurus is a critical and enlightening discovery for paleontology in Egypt and Africa. Africa remains a giant question mark in terms of land-dwelling animals at the end of the Age of Dinosaurs. Mansourasaurus helps us address long-standing questions about Africa’s fossil record and palaeobiology – what animals were living there, and to what other species were these animals most closely related? Paleontologists in Africa face unique challenges finding fossils because much of the continent is covered in large savannas. These grasslands cover the remains of Late Cretaceous animals, making it difficult to find them. Most fossils are found in layers of exposed rock or under a few inches of dirt. Africa’s savannas, grasslands, and rainforests make finding easily accessible fossils difficult. Now that the ideologists have found such a well-preserved specimen, they can begin to make some inferences about how dinosaurs made it to Africa and how they were different from dinosaurs found in other regions of the globe. It is thought that when dinosaurs first evolved, they were all populating a single massive continent. As the supercontinent began to break up and shift into the recognizable consonants today, the land-based dinosaurs would become separated by oceans and evolve into a variety of different species. One theory regarding Africa during the Cretaceous period is that it was basically a large island with many unique species of dinosaurs and other animals, much like Australia is today. Another theory argues that the African continent during this era still had geological ties to neighboring consonants. 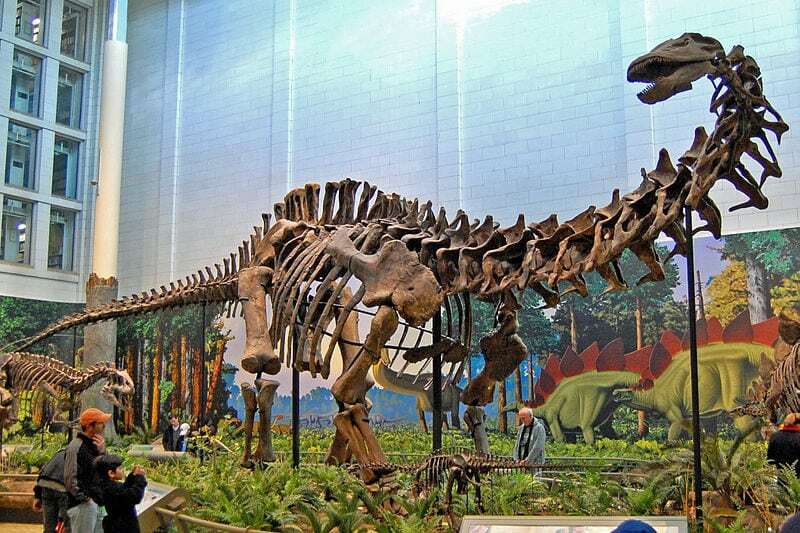 Researchers from the Department of Geology at Mansoura University, led by Hesham Sallam, analyzed the fossils found by the paleontological team to determine how closely related the dinosaur was to various groups of sauropods found around the world. The research team concluded that Mansourasaurus has more in common with sauropods found in Asia and Europe than those found in south Africa and South America. According to the research team is highly probable some dinosaurs were still capable of moving between the African and European continents during the late Cretaceous. The fact that the anatomy of Mansourasaurus seems to be a mixture of both southern and northern hemisphere dinosaurs implies that dinosaurs during the late Cretaceous era had some way of transferring between continents. 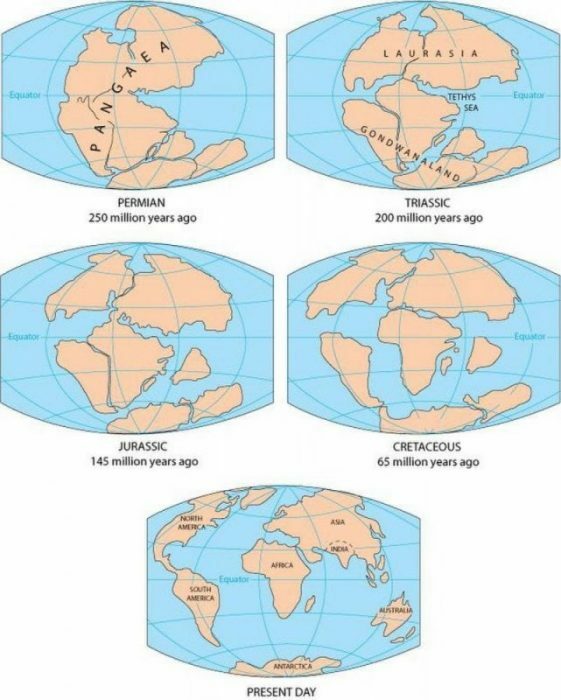 By the end of the Cretaceous era, the continents would be verging on their modern-day positions. Yet the sea levels during the era would have been higher than they are today, which would have made it difficult for animals to swim across to other continents. It is unknown exactly how Mansourasaurus or its predecessors would have made it to Africa from Asia or Europe, perhaps it used a land bridge or swam across from islands in close proximity to the mainland. While the method that Mansourasaurus used to arrive in Africa is still unknown, Lamanna and other paleontologists believe the discovery provides sufficient evidence that the fauna of Africa during the late Cretaceous was not as isolated as previous hypotheses have suggested. Additional finds by paleontologists in Africa will help uncover more of the mystery behind the dinosaurs that existed on the continent during the late Cretaceous. As mentioned, paleontology in Africa is difficult, and the Mansoura University team acknowledges that they have the challenges ahead of them as they continue to look for fossils in northern Africa. The team needs to get lucky and find the right kinds of rocks exposed in just the right way. Despite these challenges, the research team is optimistic. Hesham Sallam and other researchers from Mansoura are eager to get into the field and find more fossils, spurred on by their recent success. The research team has well-trained and educated vertebrate paleontologists at their disposal, along with ready access to important fossil sites. Even though there’s still a long way to go, they expect the pace of discovery to increase over the next few years, along with their understanding of these massive land animals.